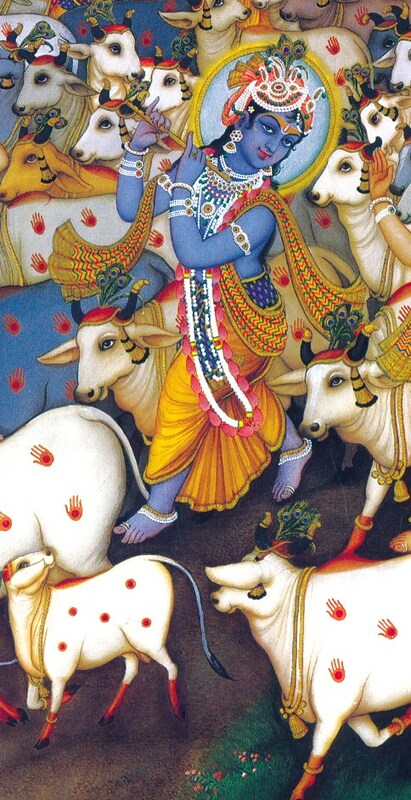 Deva, O Krishna! I am offering a prayer to You. Please let the bee of my mind be offered the nectarean honey of Your lotus feet. In other words, please let it have a taste of the rasa of those lotus feet so that it will then never be attracted to anything else! mercy, I long to receive Your grace. the desires in my heart. He Sanatana! Because Your lotus feet are filled with such wonderful transcendental spiritual mellows (rasa), let the bee of my mind always reside unwaveringly in that nectar which puts everything else to shame, for they are the essence of all sweetness—this is my only prayer.